There are the several lawsuits over dicamba, a pesticide that for a couple of years has been drifting into unwanted territory, killing crops like soybeans and pitting neighbor against neighbor. Another case in California alleges the pesticide Roundup (or glyphosate) causes cancer. And a pesticide called chlorpyrifos is at the center of yet another major legal battle. The Environmental Protection Agency was set to ban it because some evidence shows it could hurt children’s mental development, but that stalled under former Administrator Scott Pruitt. The EPA’s arguments in the 9th District Court of Appeals, which include newly public claims that the EPA will act in as little as a year, seemingly frustrated one of the judges. “How long can EPA sit on this?” federal Judge Jacqueline Nguyen asked at a July hearing. Nine states including California mandate buffer zones for certain pesticides near schools and waterways. In much of the Midwest, state-mandated buffer zones don’t exist. But pesticide labels, which are regulated by federal agencies, often do have certain setbacks. There is a lot of research in the works about the health effects of pesticides, including through the Agriculture Health Study. But it can take decades to reach conclusions, though, especially when it comes to cancer. And even when groups like AHS publish findings, like one that found that Roundup likely doesn’t cause cancer, it often fosters more debates. The University of Iowa is a leader in researching pesticide drift. 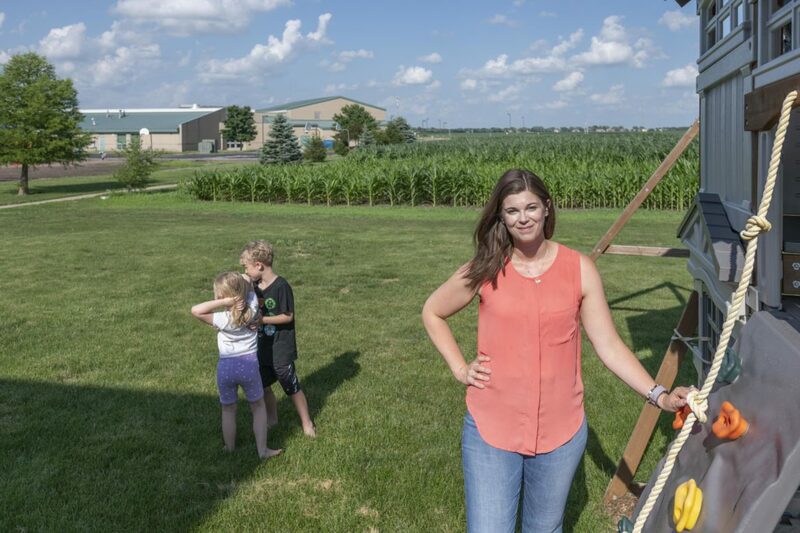 Many of the pesticides notorious for drifting in Iowa, like acetochlor, are either classified as “probable carcinogens” by the EPA or have too few health studies to know for sure, according to Jenna Gibbs. She’s a drift researcher and research coordinator at the university’s College of Public Health. Last spring, Gibbs and other researchers put 13 air sensors around Iowa City, where the university is based. Gibbs said she’s not “anti-pesticides,” and even uses things like Roundup on her own farmland. She said she understands the struggles of balancing the need to get rid of weeds and keep neighbors safe, but more research needs to be done into the reasons why and when pesticides drift and the risks that come along with that. Hawaii banned chlorpyrifos and U.S. farmers are already using less of it, thinking that the EPA may eventually follow through on its plan to ban the substance nationwide.